Training wildfowl is not easy, but SELINA REID is doing it at WWT Slimbridge, in preparation for a ground-breaking new Living Wetlands Theatre. IN 2017, I relocated my family to Gloucestershire in order to take on this role, and have been working behind the scenes with magpie geese, whistling ducks and pelicans ever since. With my guidance, the plan is, audiences will see how these incredible birds behave in the wild at the new Living Wetland Theatre, at WWT Slimbridge – currently due to open next year. This fantastic opportunity to witness what these birds are like up close aims to inspire the next generation of conservationists. My day starts by checking all my birds before cleaning, feeding and training. It’s probably my favourite part of the day because they’re all so pleased to see me. The magpie geese (Anseranas semipalmata) are especially chatty. It’s as if they’re saying: “Where did you go? We’re so relieved!” Of course, what they are probably saying is: “Did you bring the food? ”When I start working with a new animal I spend a lot of time relationship-building. It’s such an important part of training. Sometimes I will play sound clips and background noise to assess their reactions and prepare them for the “theatre”. There have been days when I have sat on the grass on a sunny afternoon with the magpie geese or the spotted whistling ducks (Dendrocygna guttata), playing YouTube sound effects clips on my phone, letting them climb up onto my lap, tickling them and playing with them. It’s hard to justify this as work. Honestly, though, it is part of my job. Training doesn’t always go to plan. Some of the most enjoyable moments are when it doesn’t. When you train a bird to fly to the arm, essentially teaching it that landing on people is fun and rewarding; there is a period of time when they will do it at every opportunity. Having three magpie geese or six whistling ducks, all flying at you and looking for somewhere to perch, is very entertaining. One day I will make a blooper reel of all the times the birds didn’t do what I expected them to. It’s sure to be more entertaining than all the times they behave perfectly! 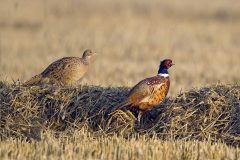 Wildfowl have huge potential for training. I don’t think anyone realised just how special they could be and I am certain that these birds with their big personalities are going to touch people’s hearts. I think many people already have a well-established affiliation towards ducks. Who doesn’t remember trips to the local park to feed the ducks when they were children? On the other hand, most people have never had the chance to experience how unique and charismatic each one is. I admit I wasn’t expecting it. I’m excited for people to see how clever and charming wildfowl and their wetland relatives can be. I love the relationship you establish with an animal through training. Fundamentally, training is a conversation between the animal and their trainer and I have to be able to read the animals’ behaviour. Good training is based on trust and one of the most rewarding parts of my job is that first moment the animal decides that the risk of performing a certain behaviour is outweighed by the reward, because they have learnt to trust their trainer. 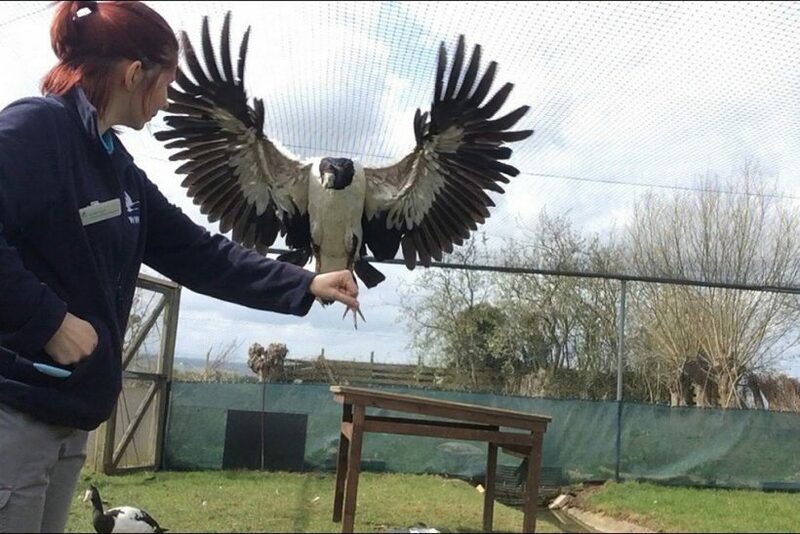 The best example is training a bird to step up to the arm or hand. A high level of trust and a good reinforcement history is essential here. When the bird starts to find the behaviour itself reinforcing, you know you’ve done well. My family moved to Gloucestershire so I could train ducks! I sold our family home, bought a new house in an area we knew little about, pulled my two children from their schools and headed away from everything I’d known. It doesn’t sound any less mad the more times I tell the story. 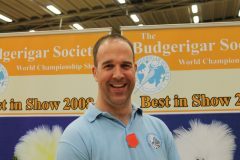 Bird training is a niche profession and I loved WWT Slimbridge and all it stood for, so it felt right at the time. A year on, my family and I are loving our new life and the job is all I hoped it would be. Training birds is like training your dog. The difference is that dogs, having spent thousands of years living with people, are intuitive trainees: they often guess what it is you want them to do before you’ve finished training it. Wildfowl are less experienced at hanging out with humans. What might take a dog a handful of training sessions to learn generally takes our ducks and geese far longer. I’m lucky to do something I love. I’m a small cog in a big machine but proud to be part of an organisation as significant and well supported as WWT. The impact that the Living Wetland Theatre promises to have on people’s perception of birds is huge. It is an absolute honour to be so directly involved in this project from such an early stage. Selina’s work is supported by Postcode Animal Trust, a grant-giving charity funded by players of People’s Postcode Lottery. LIKE all people with an interest in the natural world, I worry greatly about the current state of our planet. These days you can’t get through a day without seeing or hearing something about plastic straws, palm oil, micro-plastics in our oceans, or another similar themed discussion point. It’s great to see public awareness increasing and the coverage that environmental issues now receive is undoubtedly positive. Yet I worry that, for some, the problems seem so overwhelmingly catastrophic that they actually demotivate people from making changes. In reality, going plastic-free is not practical for many, but it’s important that people realise it doesn’t have to be a massive ground-breaking change to have an impact. But if everyone used only what they had to, in moderation, we would see a big change. Start with simple and practical changes: choose the broccoli that’s NOT wrapped in plastic instead of the one that is. If seven billion people did that, imagine the impact it would have. It’s important that people are aware of the huge issues facing our planet, but it’s also important that they realise you don’t have to be an eco-warrior to have an impact. We can all play our part, however small. Fancy publicity: a novel approach?